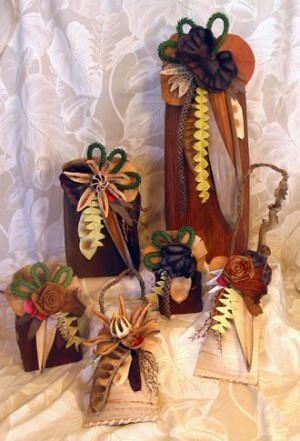 Original Kaua’I made Gifts—Hidden Treasures—and Island Style Shopping; create your own or discover one of ours! 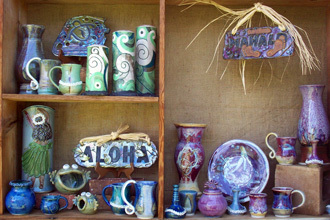 There is something for everyone at Clayworks At Kilohana. Clayworks at Kilohana is a family pottery studio and gallery located in the old carriage garage across the back lawn of the Kilohana Plantation Estate. Upon entering the Clayworks gallery visit with potters creating truly original Kaua’i made artwork. Specializing in porcelain, stoneware, and raku—choose from a unique collection of ceramic sculpture and hand crafted pottery or design your own customized creation. Knowledgeable potters will guide you in either creating your very own work of art by wheel or by hand--Or glazing and firing a raku piece to ship or take home. CREATING DAILY (808) 246-2529!